Description - Shaw's Sense of Belonging broadloom carpet is featured in the Life Happens collection. This revolutionary carpet is 100% waterproof and worry proof, ensuring you love your floors for years to come and have little to no maintenance. This attractive pattern comes in a variety of colors sure to look great in any space. 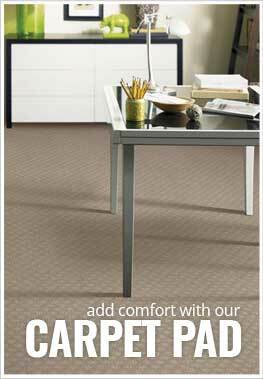 Made in the USA, Sense of Belonging broadloom carpet is a fan favorite compared to other, more traditional carpets. Material - Part of the Life Happens collection by Shaw, featuring LifeGuard backing, made with 100% nylon. Face Weight - 34.1 oz./sq.yd. Recommended Uses - Sense of Belonging carpeting is recommended for use throughout the home, in rooms like bedrooms, family rooms, media rooms, hallways, and more. Repels liquids for easy cleanup. LifeGuard - Waterproof Carpet or Magic? Shaw’s carpet collection that features LifeGuard® waterproof backing is created specifically for all the little messes in life. This patented backing system not only reduces odors and stains, but allows for easier and more effective cleanup, so you can get back to living your life. It helps to keep 100% of all spills, splatters, and accidents contained for complete clean-up protection. Because clean + stress free = a healthy home. R2X is the industry’s most innovative carpet stain and soil repelling system and it is the product of years of research and scientific testing. THe ultimate in protecting carpet fibers from dirt and spills.